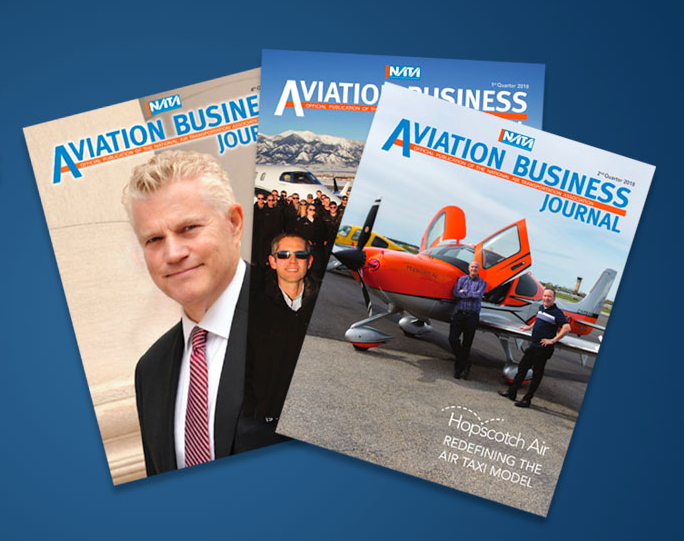 Published quarterly, Aviation Business Journal helps its readers run more effective and profitable aviation service businesses. Articles are written by industry experts who understand the unique challenges faced by aviation service professionals. The editorial delves into issues affecting each of the main constituencies as well as safety and risk management, marketing, human resources, financial and technology issues, industry news and events, and more. Click here to view issues of the Aviation Business Journal. Advertising opportunities are available. Please contact Shannon Chambers at schambers@nata.aero or (703) 298-1347.